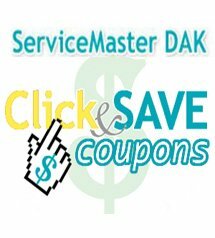 ServiceMaster DAK is the one to call when you need carpet cleaning in Northbrook IL. What makes us unique is our process, we’re the cleaning people who care. We offer residential and commercial carpet cleaning services in Northbrook IL and will schedule an appointment convenient for you, with a 2 hour window of our arrival time. Our trained technicians will evaluate your carpet and determine the best cleaning method. 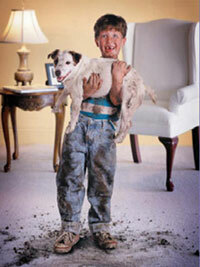 We’ll pre-treat all spots and stains paying special attention to heavy traffic areas and ground in soil. We’ll extract the carpet using the finest available truck-mounted equipment and our own on board clean hot water, going over tough areas multiple times as needed to obtain the best possible finished appearance. When finished with the carpet cleaning we’ll groom the carpet, which enhances the appearance and allows for more efficient drying. Most carpet manufacturers recommend that carpet be cleaned up to twice a year, depending on traffic, to extend the life of the carpet and to create a healthier environment for your home. Let us assist you in bringing out the brilliance of your home. Friendly, courteous service from truly concerned representatives. The men that did the job were professionally dressed, clean and respectful. Thanks for a job well done as usual.